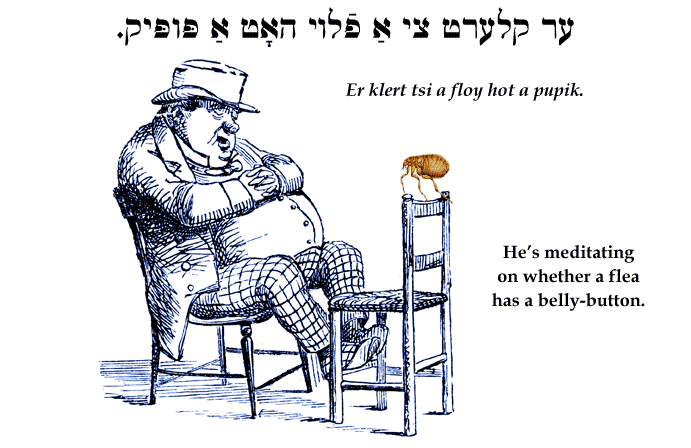 Yiddish Wit: He's meditating on whether a flea has a belly-button. ער קלערט צי אַ פֿלױ האָט אַ פּופּיק. Er klert tsi a floy hot a pupik. SOURCE: Bernstein, Jüdische Sprichwörter und Redensarten. Said of a person with an over-philosophical mind, according to Philologos.